McMurray & Blonde designs and creates hand-crafted leather goods that are functional, made with expert precision and use only the highest quality leather available. McMurray & Blonde was started by a Chicago-based couple. McMurray (known as Mac) was trying to find a high-quality thin leather camera strap for a decent price. After a fruitless search, the duo looked into making their own and found that leather working is a great creative outlet. 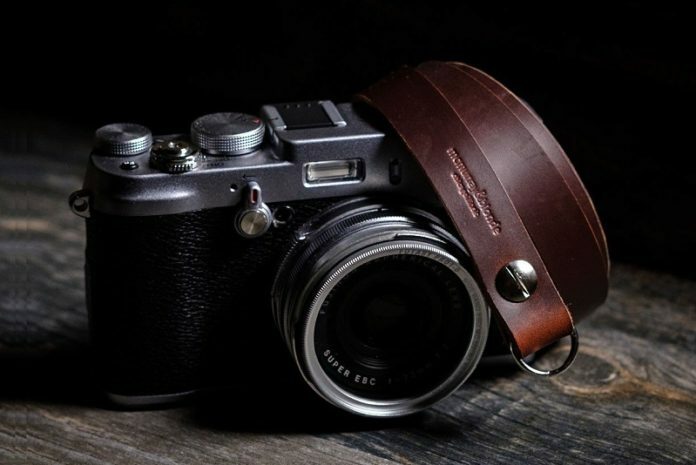 From the original camera strap, the doors were opened to creating all different types of goods from belts and wallets to bags and bracelets. Meet the owners of McMurray and Blonde at the Chicago Artisan Market at Morgan Manufacturing (401 N. Morgan St., Chicago) on Sunday, September 16, 2018 (10am-4pm) along with Chicago’s finest artisans in food, fashion, home goods + art. All goods are designed from scratch. At least one component of each product solves a problem unmet by existing products on the market… whether that is functionality, quality, value – or a combination of all three. Making something with your hands isn’t the only definition of “handmade.” Being “handmade” denotes making something the hard way – not just for the sake it of it being more difficult, but because it is actually better than doing it using machines or by taking shortcuts. 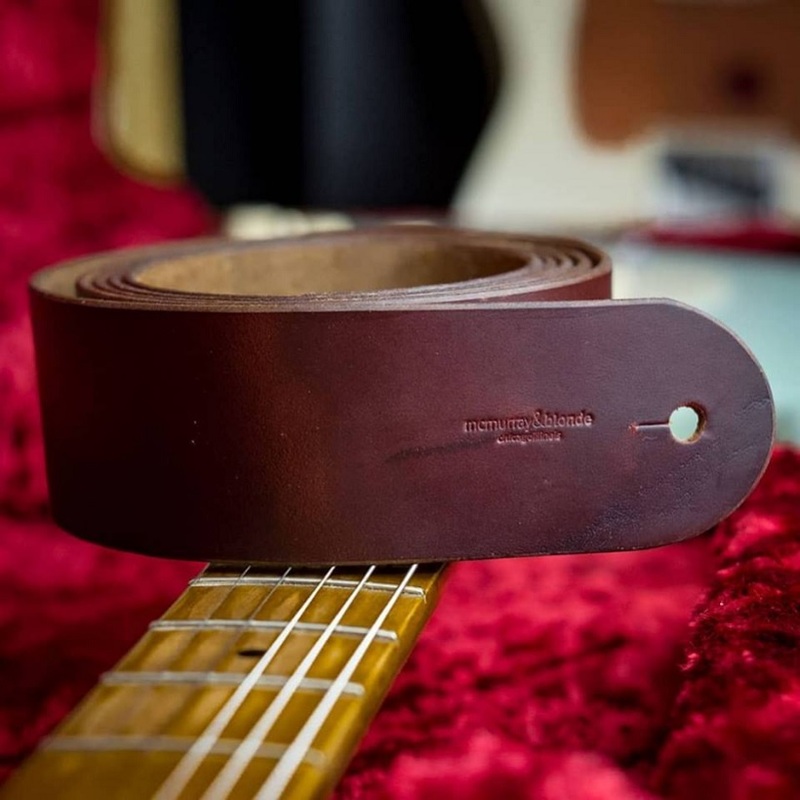 Only top quality, full grain leather is used by McMurray and Blonde. They purchase leather by the side (the actual side of the cow) and tan and cut it as needed. Everything they design can be first seen in its original side of leather form. 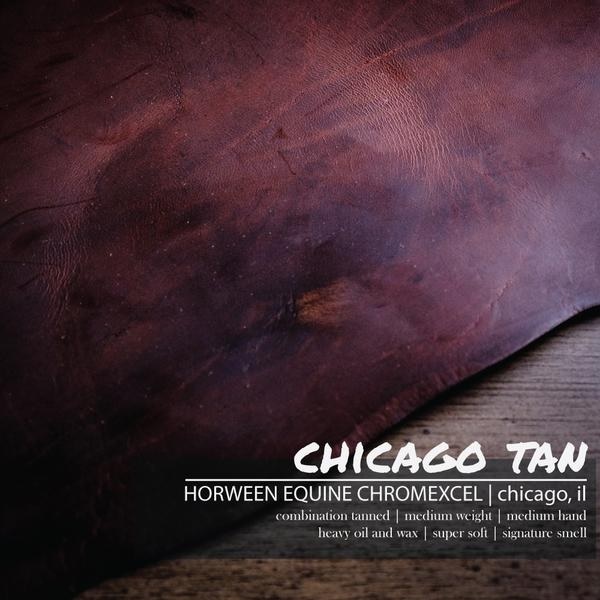 Many of their products use high-quality Horween Leather made right here in Chicago. Whenever possible, solid brass hardware is used on McMurray and Blonde products. Specifically, all belts, key chains and camera straps have solid hardware. (Inexpensive hardware tends to be made out of aluminum and zinc.) Solid brass is a heavier and more durable material that has a natural wear and patina process. 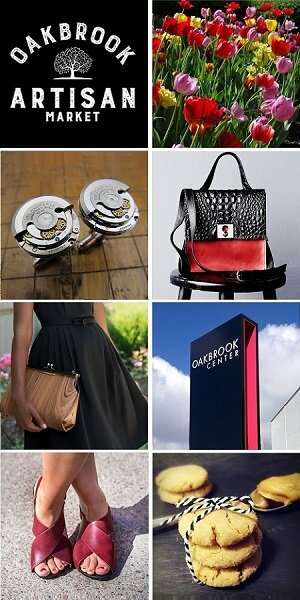 The company uses Chicago Screws – considered by many to be one of the most secure ways to attach two or more pieces of leather. Because of the thickness of the tops and the screw mechanism holding the pieces together, a very strong bond is created. This is in contrast to rivets which are held together by a metal being folded over on itself. Everything sold by McMurray and Blonde is 100% handmade in Chicago, Illinois. They take pride in craftsmanship and strive to make products that are made to last. They also offer customization of existing productions and the creation of entirely new product when you contact them here.